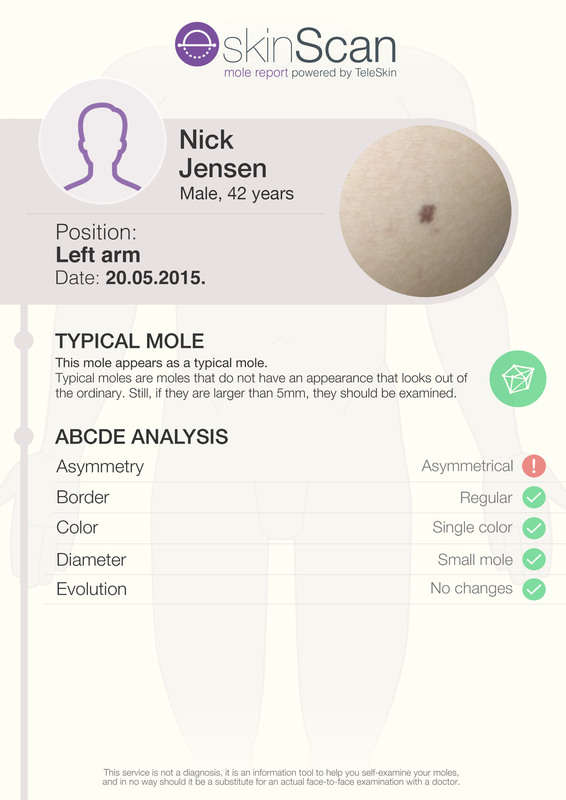 Do you want to send the assessment of a mole to a family member or physician? In the results page click on the PDF Icon. This will allow you to email the report, or if you are connected to a printer, to print it.